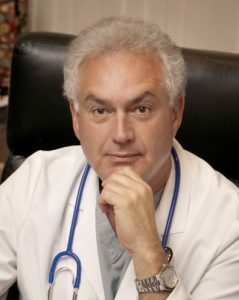 Dr. Joseph Berenholz has been a obstetrician and gynecologist for the past 30 years. He was the first OB/GYN physician to introduce cosmetic gynecology in the Midwest. He brought laser cosmetic gynecology to the Detroit area 13 years ago and has been involved in numerous state of the art technologies for the advancement of women’s health. Three years ago Dr. Berenholz co-founded the Brilliance Medical Spa. The spa was dedicated to nonsurgical improvements in women’s appearance whether it was abdominal fat, large thighs, face lifts, fine facial lines or most recently the first successful treatment for cellulite. ThermiVa, a first of it’s kind technology has restored sexual function, lubrication for women as well as curing both urge and urinary stress incontinence. All this without surgery or medication! Dr. Joseph Berenholz is also available through LVRI of Michigan and Brilliance Spa, where he specializes in Protege Elite Face Tightening, Vanquish, Vanquish Flex, Clear & Brilliant, and Protege for Facial Acne.